At Spark College Consulting, our mission is to get great kids into their top-pick schools while we relieve the stress typically associated with the college application process. Elizabeth Katz started Spark College Consulting, LLC because she is passionate about helping students have a successful college application process from beginning to end. We help students discover who they are and craft a college list that reflects that insight. We work with students as they write and edit their essays, and guide students through the detailed steps of the application process itself. Most important perhaps, is the agency we instill in our students. This is THEIR future and it is thrilling to watch them own it! Elizabeth has a B.A. and M.A. from Stanford University and a J.D. from Berkeley Law (formally Boalt Hall) and holds a College Counseling Certificate from UCLA Extension. 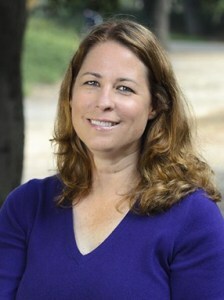 Since leaving the law to focus on raising her children, Elizabeth has volunteered extensively in the Menlo Park City School District and at Menlo-Atherton High School. She has been the Co-President of the PTA and still volunteers at Everest Public High School, where she completed her practicum. Elizabeth has worked with students of all ages through her volunteer work with schools, Girl Scouts, church and sports, but she particularly enjoys working with teenagers and helping them as they make the transition from high school to college. Elizabeth is a member of WACAC and HECA. You are welcome to contact Elizabeth via phone or email with your questions or request a consultation that fits your schedule. We look forward to hearing from you.